With the explosion in sales and development of High Definition technologies, Channel Three Productions has made a major commitment to High Definition production. Channel Three recently shot (to our clients’ great satisfaction) over two dozen college recruiting TV spots as well as a series of spots for Seconds & Surplus in High Definition with “film-look”, using the Panasonic VariCam (AJ-HDC27). Now we have decided to bring the beauty, richness and in-camera film-style features offered by this technology in-house in order to cost-effectively enhance our clients’ communications needs. 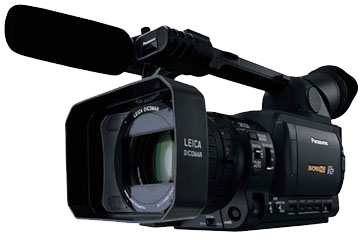 Panasonic AG-HVX-200, a hand-held High Definition camera, records in the same DVC PRO HD format that Panasonic uses with its VariCam. We can get 1080p High Definition resolution, or 720 24p progressive film-look, as well as slow motion and time lapse effects recorded directly with the camera. 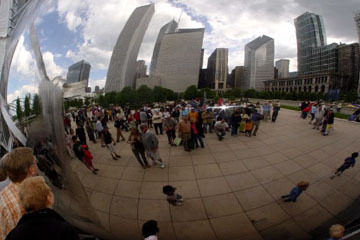 This allows effects to be shot and seen immediately without the need for post-production. The tape-less recording option using P2 technology reduces tape costs and speeds up editing time as it is transferred quickly in the field rather than digitizing from tapes in an editing suite. Using a Mac or PC laptop, the DVCPRO HD material can be edited in the field because no expensive bulky playback decks are needed. This package offers our clients a high-end option well below industry HD production rates and only slightly more expensive than BetaCam SP, which we will certainly continue to offer. 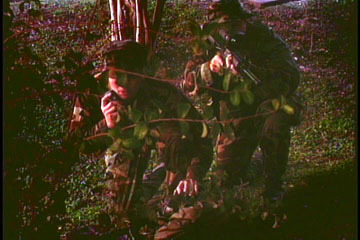 Channel Three can also offer the film-look with the HVX-200, shooting on DV tape. While not High Definition, it offers excellent standard definition footage with a film-look. With the advent of affordable High Definition acquisition the use of HD material will explode over the next year. 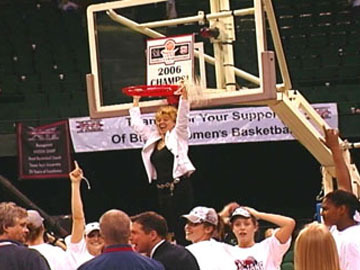 The College Recruiting spots were shot in studio against green screen for Plattform Advertising of Kansas City, MO. Plattform is a direct-response marketing and advertising agency offering enrollment solutions for the education industry and the military. In three days of shooting, over two dozen Houston actors discussed their career ambitions and experiences while supporting visuals swirled around them. The Seconds & Surplus spots, produced in association with DFW Media Group, were shot on location inside the huge warehouse store, entailing an extensive daylight-balanced lighting package. Three spots were created, each with spokeswoman and film-style cutaways of the flooring, doors and kitchen departments. 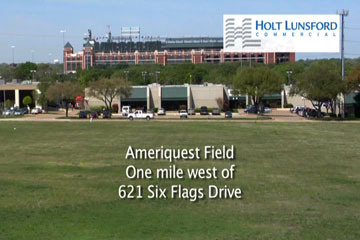 At opening day at Ameriquest Field, home of the Texas Rangers, Channel Three shot traffic to and from the baseball game from atop a building, condensing over 6 hours of footage into two minutes for Holt Lundsford Commercial. In the past year, Channel Three Productions chalked up our 18th and 19th Telly Awards we have won since we first started entering in 1989. The Telly Awards is the premier award honoring outstanding non-broadcast video/film productions as well as local, regional and cable programs. The 27th Telly Awards received over 12,000 entries from the finest ad agencies, production companies and corporations in the world submitting their best work for that year. It is a tremendous achievement to be selected for recognition. For more information on the Telly Awards, please visit www.tellyawards.com. Our most recent award recipient was in the category of Government Relations, going to the “Acknowledgement of Paternity” video. Working with the Office of the Attorney General on a production so important to the children of Texas was a high honor in and of itself. In researching and writing the script, we were shocked to learn that over one third of all babies in Texas are born to parents who are not married and under state law these children are considered to have no legal father. The video featured two vignettes involving two sets of new parents and a birth registrar that we filmed with actors in an Austin studio and then posted using “Film-Look” FX. While some hospital props were rented from medical suppliers, Seton Medical Center in Austin provided many of the authentic maternity ward props that added realism to the scenes. With the cooperation of Presbyterian Hospital in Dallas, we were also able to film actual maternity wards, parents, doctors and birth registrars to help set the stage. We were fortunate to be able to collaborate with committed and considerate people at both hospitals and at the Attorney General’s Office. 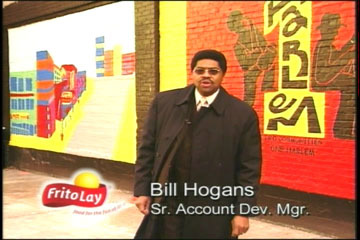 A new DVD designed to recruit college grads with sales and marketing aspirations for careers at PepsiCo and Frito-Lay was released an honored with a Telly Award in the category of Recruiting in 2005. 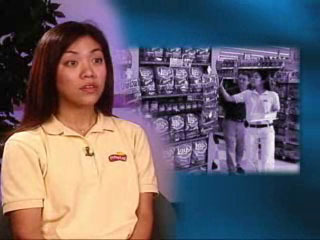 “Excellence In Selection” is a 3-part program that includes chapters on “PepsiCo Overview”, “Frito-Lay Sales Organization” and “Sales Careers at Frito-Lay.” The DVD was designed to play in a continuous loop of all three chapters or each chapter individually, depending on the situation. A highly graphic, layered treatment along with an upbeat techno beat and fast paced editing gave the DVD plenty of eye and ear candy to savor – perfect for a career in salty snacks! This marked the second Telly Award we have won for a Frito-Lay project. Four years ago, “Intellectual Property” won a Telly Award for Frito-Lay’s Research & Technology Department. 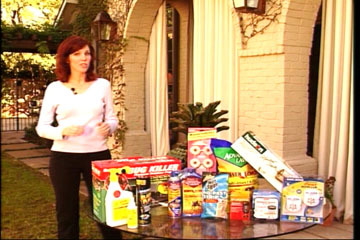 Channel Three Productions continued with many other high-profile projects for PepsiCo and Frito-Lay as well as Quaker throughout 2005 and 2006. We are currently completing “Hermanos” a video that demonstrates to executives the business advantage of diversity sales. 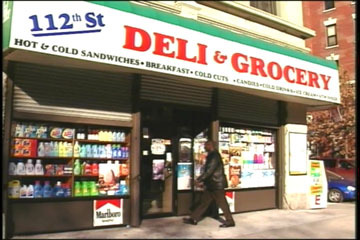 Filmed in the Bronx, Harlem and Chicago’s South side, the video follows Frito-Lay route sales people providing ethnic neighborhood customers with their favorite Frito-Lay flavors and speaking their native languages, including scenes in Korean, Spanish and Arabic (with English sub-titles.) The distinct sites and sounds of each neighborhood formed a backdrop for each scene, including colorful shots and evocative music. Everyday Is A Holiday At Holiday Villages! 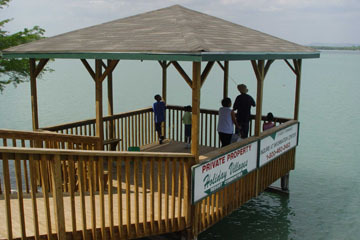 Holiday Villages Resorts and Retirement Communities provides working families with cost-effective places for recreation and retirement. 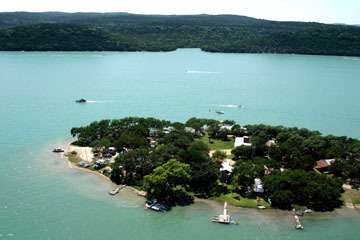 The resorts are located on some of Texas’ most popular water sport and fishing areas, such as Lake Fork, Lake Livingston and Lake Medina. 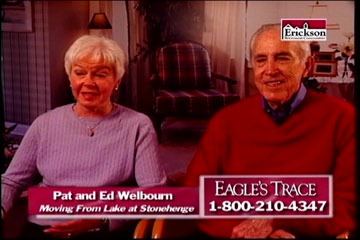 In 2002, Channel Three Productions created a DVD, a TV infomercial, and a series of TV spots and launched a new website for Holiday Villages. This year, we updated the video with lots of new concert and event footage as well as dynamic aerial footage and stills of the three resorts. Actor, Barry Corbin (Northern Exposure) was filmed against our portable green screen and keyed over the video as the narrator. Barry no longer appears on the website but you can visit the new website, which we also created, at www.holidayvillages.com which is loaded with new video clips, maps, calendars and prizes and updated monthly. Another website completely designed and written by Channel Three Productions. Everything on the site, from the company name to the logo design, the copywriting and still photos was provided by Channel Three Productions. 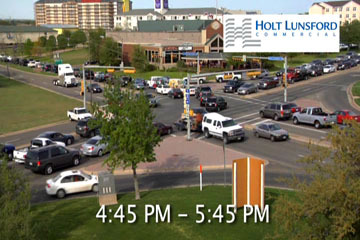 The video on the website was also provided in a wide-screen looped DVD for trade show presentations. We also designed the booth itself, including enlarged printed displays of the logo design and action photos as well as printed handouts that were actually embossed on a Puccini Natural Stone tile. The website includes a password-protected Flash presentation for registered distributors only, but the other pages including the video you may all view. 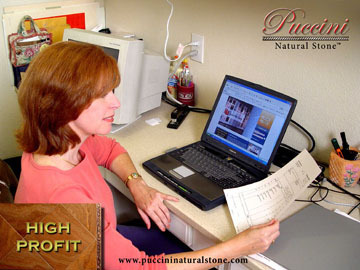 Puccini Natural Stone is a natural stone and glass tile company in Dallas, Texas, offering distributorships nationwide. 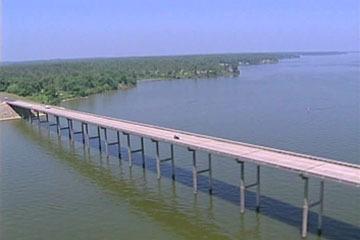 CHANNEL THREE LANDS NEW 6-YEAR CONTRACT WITH TxDOT! 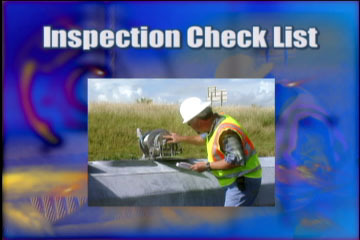 Since 1999, Channel Three has been privileged to hold a contract with The Texas Department of Transportation in creating dozens of electrical training and safety videos for TxDOT inspectors and construction contractors. A new RFP was issued in 2005 for a new two-year contract with two two-year renewals and Channel Three faced an ever-growing level of competition statewide on this prominent new contract. 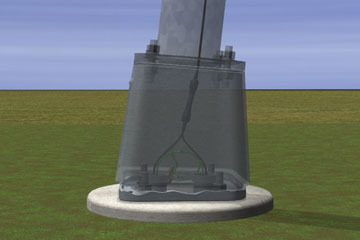 We leveraged our previous success, including a double Telly Award in 2002 for the “High Mast Pole Series,” which was awarded Telly’s in the categories of Safety and Animation. 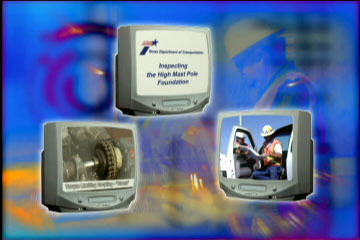 The new contract allows for greater interactivity in these DVD’s, enabling users to view these programs from their laptop computers while out at a job site. 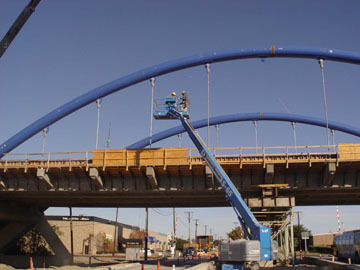 Menu screens displaying the actual physical components of an installation for an interface the user can click-on in order to view the video on that particular component as well as accessing supporting TxDOT data sheets. 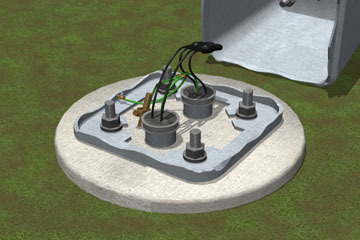 Video topics completed in the past year include “Pole Placement Guidelines,” “Trouble-Shooting and Repair” and “Roadway Illumination Foundations.” To see a sample of one of the first videos we produced in this series, “The Importance of Proper Grounding,” please follow this link to the website of our electrical training and safety expert, LW Brittian. http://www.lwbrittian.com/. For almost 15 years, Channel Three Productions has enjoyed the honor working with the Town of Addison on everything from their Dallas Ad League Award-winning marketing video to the documentary on Addison Circle Development, the refurbished Arts District and its reputable artistic centerpiece. 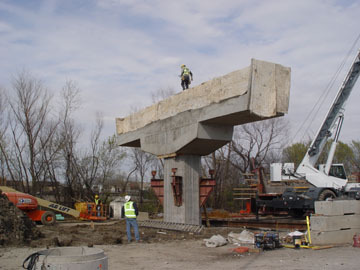 This year, we documented the yearlong expansion of Arapaho Road and the construction of the Arapaho Bridge. 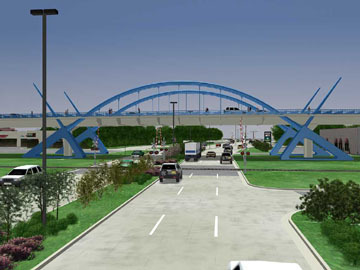 This culminated in a large screen video presentation and laser light show from atop the new bridge at the ribbon-cutting ceremony. In the past year, Channel Three Productions welcomed several nationally known brands to our television advertising client base. 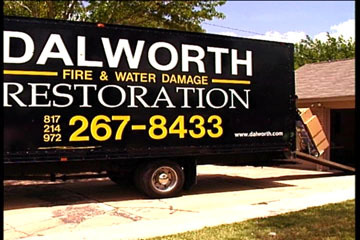 Dalworth has been the #1 name in carpet cleaning in Texas for the past 30 years, and we were proud to have the chance to produce several new TV spots for both its carpet cleaning and restoration divisions. Shots included location carpet cleaning and in-studio testimonials. 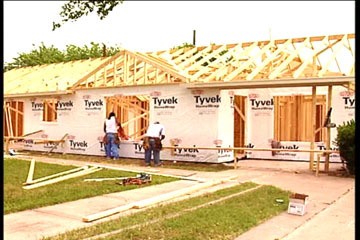 For the Restoration Division, we shot in several increments over many months of restoration on a burnt-down house. The spot opened with a family looking through the ashes and then closed with them coming home to their brand new home. 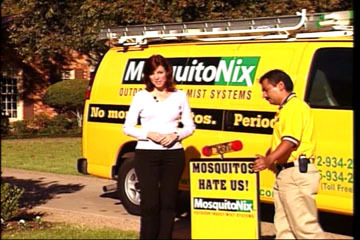 MosquitoNix, founded in 2002, has made it possible for families to reclaim their backyard the way it was meant to be – mosquito free, with a fully automated system that typically mists the perimeter of the home 3-4 times per day for 20-60 seconds. Now with over 20 offices around the country, Channel Three Productions has produced a series of TV spots as well as a franchisee video to spread the word about this innovative new company. 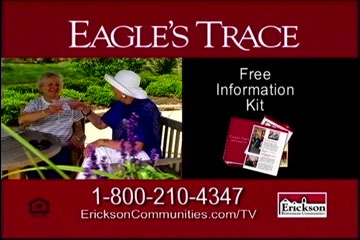 Visionary aging expert John Erickson founded Erickson Retirement Communities in 1983. 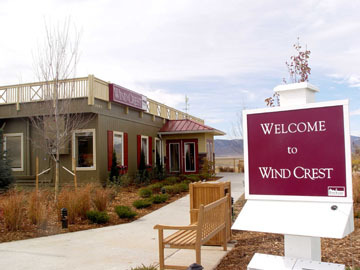 Rejecting the traditional concept of retirement living, Erickson struck out on his own to create an exciting lifestyle for people age 62 or better and now offers a nationwide network of campuses serving more than 14,000 people. 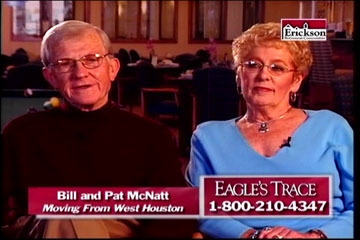 In 2005, Channel Three Productions was hired to produce a series of TV spots and infomercials for Highland Springs in Dallas, Eagles Trace in Houston and Wind Crest in Denver. The spots and infomercials included new testimonials with residents and new footage of the facilities and area attractions of the cities in which they are located. 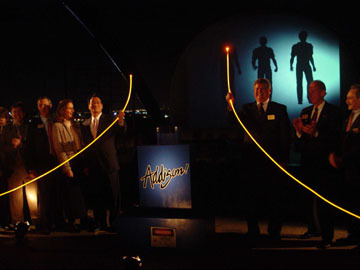 The infomercials featured an on-camera spokeswoman appearing at the site of new campuses and also at area landmarks associated with each city. 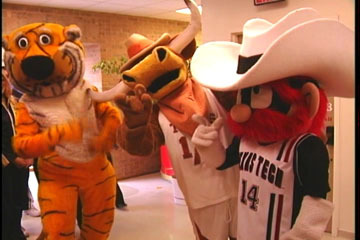 Channel Three Productions got plenty of action in the past year with TV commercial production for major sporting events. Over a dozen new spots aired for the Fort Worth Brahmas of the Central Hockey League. 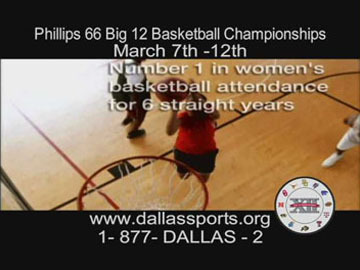 In addition, Channel Three was named the official video sponsor of the team and enjoyed a half page program ad and a banner displayed at both the Fort Worth Convention Center and the Will Rogers Coliseum. 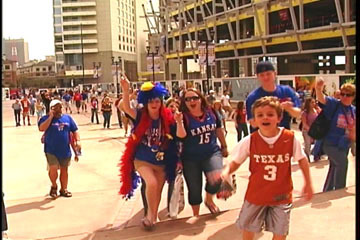 The Big 12 Basketball Tournament was in Dallas this year and Channel Three Productions produced a TV spot for the tournament as well as provided video shoots throughout the week’s events to help publicize event for the Dallas Convention & Visitors’ Bureau. 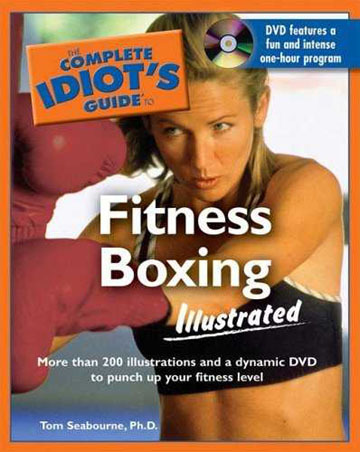 Several major Home Entertainment DVD’s were released by Channel Three Productions in 2005, including “The Complete Idiot’s Guide R To Fitness Boxing”, a DVD companion to the highly popular book series published by The Penguin Group of New York. Featuring fitness and boxing expert, Dr. Tom Seabourne and his team of fitness boxers, viewers are invited at home to engage in a highly aerobic and entertaining workout. As a follow-up to the highly successful “Off Da Hook Kidz” instructional hip hop dance and exercise videos for kids, Channel Three Productions in association with Well Go USA, just wrapped up two new releases. 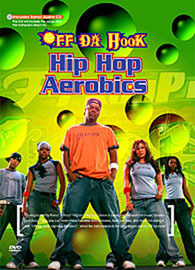 “Off Da Hook Hip Hop Aerobics” offers a great way to get in shape and have fun, all set to an upbeat hip-hop dance score. 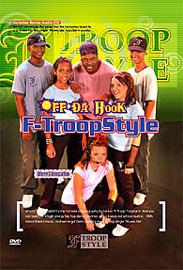 “Off Da Hook F-Troop Style” is a brand new instructional dance video featuring the dance/pop music of Demi Lovato and an original music video “Moves Me”, performed by Demi and the Off Da Hook Kidz. Entirely shot in a studio with green screen Ultimate effects, the animated backgrounds perfectly compliment the eye-popping routines. 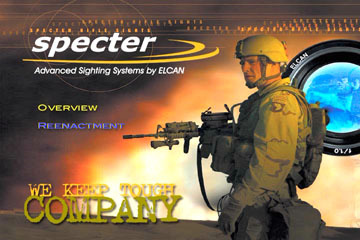 Elcan Optical Technologies, a Canadian optics company part of The Raytheon Companies, has developed the first affordable thermal weapon sight designed specifically for homeland security and law enforcement. 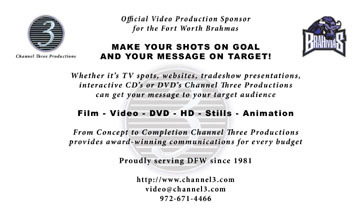 In 2003, Channel Three Productions worked with Elcan’s Dallas and Canadian offices, their advertising agency CVC, and the Plano Police Department on a video and printed brochure highlighting the product capabilities. The projects included video segments and digital stills of the finished product and the manufacturing facilities and interviews with key leadership at Elcan. To demonstrate Specter IR’s role in homeland security and law enforcement, a realistic drill was staged with the Plano Police Department depicting a SWAT Team using the infrared sight and a wireless video command center. 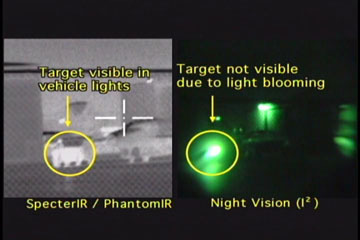 In 2005, Channel Three produced a new video for the Specter IR and Phantom IR weapons sights. For these videos, we shot video and stills on a weapons range as well as staged a realistic attack on an enemy airforce base. 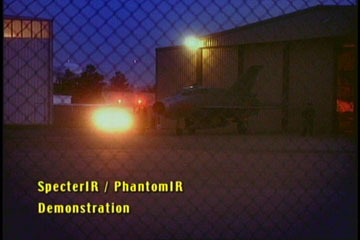 This scene was filmed at the Flight Museum at Addison Airport and involved a combination of professional actors and professional military personnel.